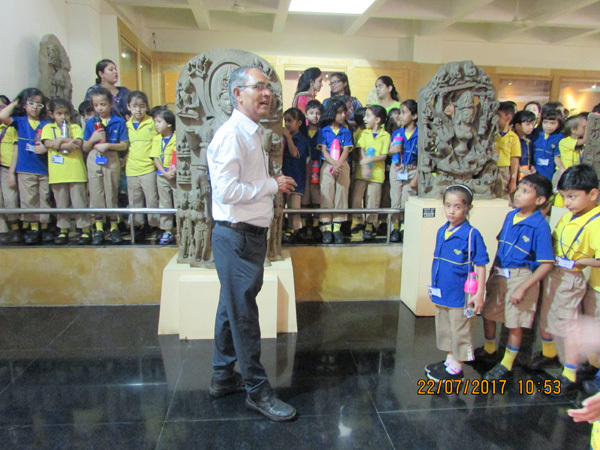 With the above objective Grades 1 and 2 visited the State Museum situated amidst the lush greenery of Shyamla Hills. 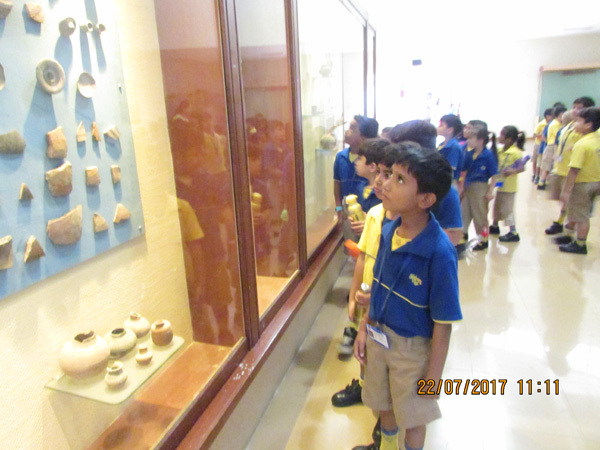 The various avenues of the museum drew the children according to their area of interest. 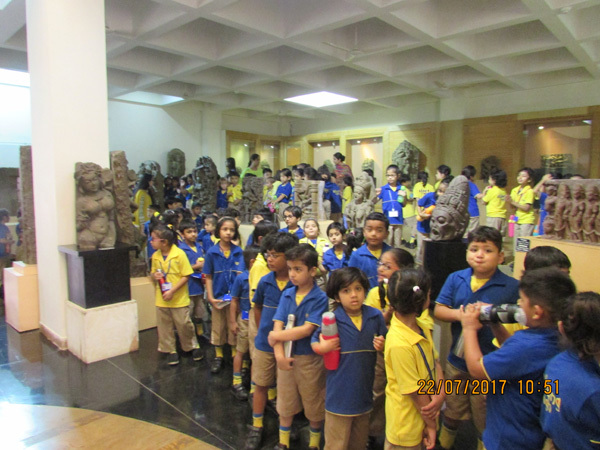 Displays of archaeological discoveries from the Stone age to the Bronze age made the children wonder about their skilled ancestors. The Coins section fascinated the young minds.... from the shape to the size and the metal used to mint them. Curious and inquisitive minds had enough to satisfy their thirst for knowledge. The last section, visited, a gallery devoted to the Bhopal Royal family was by far the most interesting: the Portraits and the Artefact collection revealed everything thing about our city's history. 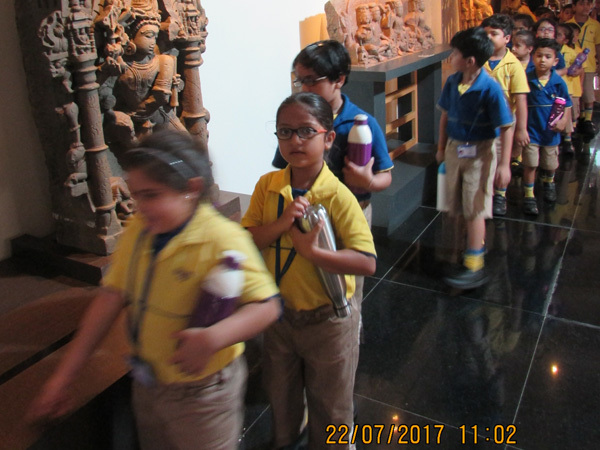 The students were amazed to learn about their own state's vast culture, heritage and history. It was truly a Saturday well spent.